Do You Have A Start Up And Need A Website? We are actively looking for Start Ups that need a Website. There are a couple of things that we can offer you. We have financing available to help your cash flow! You can have a $40,000 site built for only $1,064 per month, a $20,000 site built for under $590 per month, a $10,000 site built for under $270 per month, or a $5,000 site built for less than $134 per month! No matter how big or small your idea is, we can help! These days your Website is your Business, your store, your office, the place where customers judge in in a split second so it is important that you put your best foot forward right out out the gate. You simply can’t afford to have an amateurish Website and expect to be successful. End of story. You need a GREAT Website so that your business can thrive and customers will flock to it to buy what you are selling. 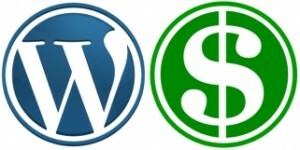 With Convert To WordPress, now you can have it all. If you are a start up and are looking for the right team, look no further. We want to help grow your dreams. We can help you with your Site, with SEO, with Social Media, Marketing and more. Please call us at 307-459-1092 to get started right away. We would love to hear from you.